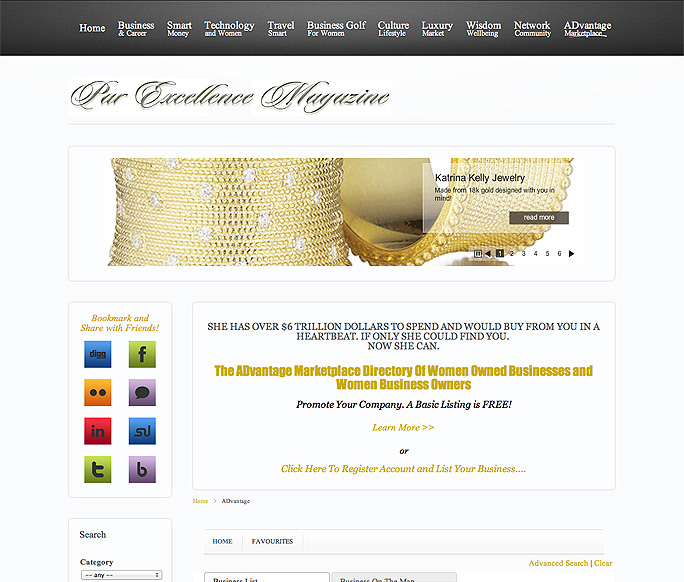 Par Excellence Magazine is a website targeted at business, career and executive women globally. It is a magazine style website that displays various content: interviews, articles, news, a directory of women business owners, a social networking community, various forms of advertisement and much more. 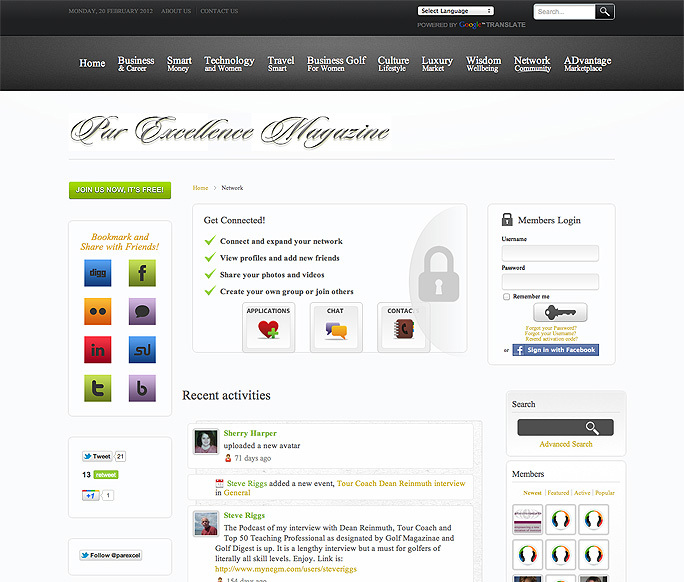 The content management system Joomla! makes it as easy as possible for the administrators to manage the various forms of content.